The deal was a success – and so was that date. They got married in 2015, and have been partners in life – and in business – ever since. 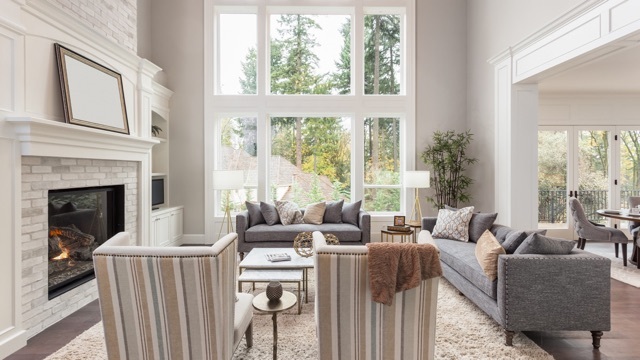 Their clients really benefit from that unique partnership; they get the combined expertise of two experienced, successful Realtors who have joined forces into one powerhouse team. Daria: Realtor. Condo expert. Interior designer. Daria graduated from the International Academy of Design in 2002, earned her real estate license in 2004, and has been immersed in the real estate industry ever since. Her initial career was with Baker Real Estate, where she worked with Toronto’s leading developers and interior design firms to sell high-profile developments across the city and abroad. The Ritz Carlton in Toronto, Four Season in Las Vegas and InterContinental in Macau to name a few. While she enjoyed design, the part she loved most was the buying and selling. So in 2009, Daria immersed herself in Toronto re-sale market. Today, her design background is a strong differentiator for her clients: it comes into play in everything from stellar staging to finding that beautiful and unique home in the city. Paul: Trusted advisor. Savvy investor. Golf pro. Paul has a unique background as well – an early career as a golf pro in the CPGA taught him focus, discipline, and an ability to keep his eye on the ball. He received his license in 2010, and these days, he particularly enjoys working with investors and commercial clients, guiding them through the entire life cycle of their real estate holdings. Paul’s clients appreciate his straightforward, no-nonsense approach. He readily shares his expertise and focuses on providing the best possible service to every client. It has allowed him to build strong relationships and a loyal client base that counts on him to ensure their interests are met. Together, they make a formidable team. Paul and Daria pride themselves on being hands-on with each client, educating them, helping them make decisions, and ensuring they find a property that will benefit their financial future. They have received the Re/Max Platinum Club Award for several years in a row. Both strong negotiators, their partnership allows them to put their brains together and challenge each other to find creative ways to make the best things happen for their clients. 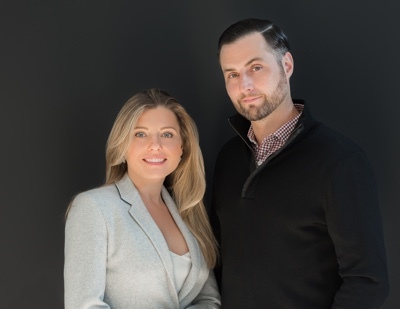 As a couple, they are passionate urbanites – they love the city, and while they buy and sell properties all over the GTA, the city’s central neighbourhoods are where they truly shine. Toronto born and bred, they live downtown with their dog Tito, where they take advantage of everything this amazing community has to offer. For some people, being in business with your significant other wouldn’t be easy, but for Paul and Daria, they couldn’t imagine working any other way. They both understand the hours and commitment a real estate career requires, and they both love what they do. I have been working with Paul and Daria for many years now, and it has been nothing short of phenomenal. As a mortgage agent, my top priority is providing my clients with top notch service, which trickles down to how my referral sources conduct business with them. Anytime I have referred a client to Paul and Daria, they have had nothing but positive reviews. From their quick responses and their ability to help negotiate the right price on purchases and sales, my clients are always ecstatic. Thank you Paul and Daria for being genuine and the best realtors anyone can use. 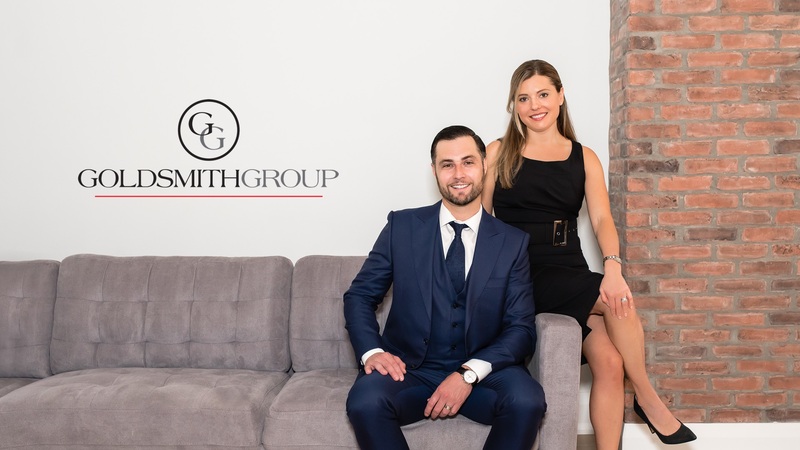 I cannot recommend The Goldsmith Group enough to anyone looking to buy or sell real estate in Toronto. I have now worked with Paul and Daria on several real estate transactions and on each occasion the deals were completed professionally and seamlessly. Their knowledge of the market combined with their ability to understand my needs make the entire process easy and enjoyable. I consider Paul more than just my broker; he is my real estate business partner. He treats each transaction as if it were his own. He goes above and beyond to make sure I’m comfortable and happy with each deal and he’s always available to answer questions or address issues. There are only a handful of people in my life that I trust complicity to handle my business in the same manner I would myself, and Paul has without a doubt earned my trust. I look forward to many more real estate transactions in the future with the Goldsmith Group. All I can say is WOW to my experience with the Goldsmith Group. Let me tell you when it came to buying my first place Paul left no stones unturned. As a first time home buyer we had lots of worries and concerns about buying our first home. Paul made us feel comfortable throughout the whole process answering all our questions along the way and helping us with everything from getting a home inspection to a lawyer to help with the closing. We would and have recommended him to our friends as there is nobody else we would rather use as a real estate agent. A wonderful experience. The epitome of professionalism from listing to closing. Paul had the knowledge and expertise to sell my home quickly and took the time to locate and show listings until he found the perfect fit for me. He easily recognizes his clients’ taste and style, and modifies the search process to meet their individual needs. Paul effectively negotiates fine details to ensure optimal outcome for his clients. I highly recommend Paul Goldsmith to colleagues and friends for any real estate service. There aren’t enough golden stars to go along Paul’s name. He is an exceptional agent who knows his business in and out. I’ve worked with a number of realtors and owned, purchased, and sold a few properties and this is the guy to do it with. He’s reliable, trust worthy, honest, hardworking and mostly passionate about his work. 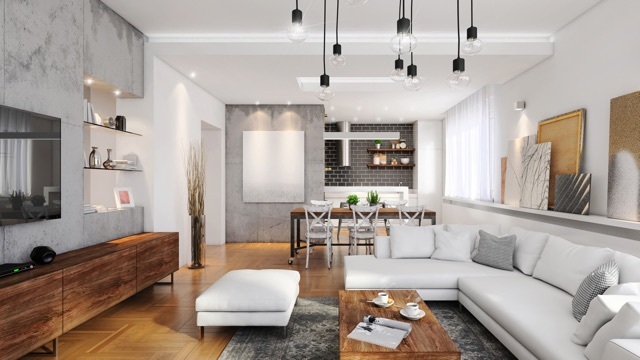 Paul’s professionalism projects when he conveys his true, honest opinion to home ownership that best suits you and the ever-changing competitive market. Whether it’s a condo, house, or commercial building, he is your man to make things happen. He’s a great problem solver too. I’ve had a couple of places that needed some smart problem solving solutions and Paul as usual delivered and got me the house of my dreams and sold the house I needed to sell. I would recommend him in a heartbeat. Paul was the highest quality Broker I have ever come across. He did an amazing job guiding me through the purchase of my first income property. After the purchase was complete Paul also found 3 amazing tenants to occupy my triplex, all this before closing day!! Wow is all I can say he is a true professional. Paul is great at his job, top tier service and always willing to drive across Toronto from his office in Leslieville to help us in the pursuit of our dream of living in the west end of Toronto. Highly recommended to anyone who wants full service, no compromise, and personable representation in any real estate transaction! Paul has the same passion of finding you the best house as you do with wanting to have the best house. He’s a wonderful agent who’s knowledgeable, aware of the ever-changing market, professional, dedicated and such a great person. I would definitely recommend him to anyone and would use him again. Paul was able to negotiate a great deal on my behalf this year, it was the fourth transaction I have employed Paul’s service for. Another success, yet again! I would recommend his service to anyone looking for a truly professional experience.